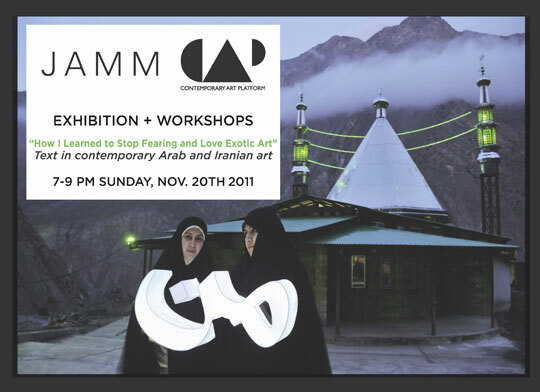 Highlighting the use of writing in the field of contemporary Arab and Iranian art. JAMM’s exhibition will feature multimedia works that incorporate text in its various forms –calligraphy,graffitti, quotations, poems and sometimes just a single letter. Artists include: Parviz Tanavoli, Hassan Hajjaj, Farideh Lashai, Katya Traboulsi, Fareed Abdal, Amira Behbehani, Shezad Dawood, Nargess Hashemi, Susan Hefuna and Farhad Moshiri.